Want something cute and adorable, or sassy and funky to wear on the beach during your Anna Maria island vacation? There are plenty of things to do on the island, but all that can wait until you are ready with the best bathing suit and the best look. Below are five specialty boutiques and beach shops on the island offering you some radiant looks right in time for the spring and summer seasons. Trendy boutique items, beach-styled jewelry, and some brand new resort wear hang and sit along the small and quaint shelves of the Island Cabana. 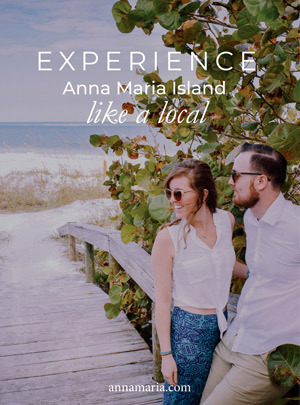 This is your purposeful yet sincere fashion boutique, capturing a big part of that Florida charm only found a block from the beach in a coastal village. You will find some adorable shirts and tops, with patterned tops and complementary accessories. The boutique is open from 10 a.m. to 5 pm. every day, with 11 a.m. to 5:30 p.m. hours on Sundays. This shop is the total opposite of the Island Cabana. It’s for water sports enthusiasts. High-end apparel and gear can be found here, with top-end brand swimsuits designed for surfing and outdoor use. The shop is all about kayaking and surfing Anna Maria Island, and how you can stay safe and practical while trying new water sport challenges. For a high-quality bathing suit with a slant towards sports use, this shop is the island’s best option. It is open 9 a.m. to 5 p.m. every day. Contact the team at (941) 254-4996 for product availability and details. 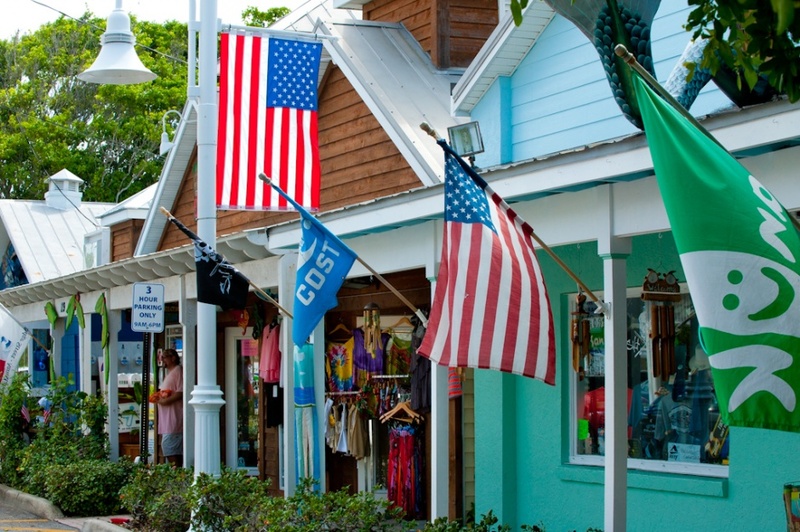 After is AMI Outfitters, we are back to some of the funkiest and cutest boutique shops on the island. Pink and Navy is a curated trendy shop specifically geared towards casual attire and beach-themed sophistication. Hand-crafted pineapples hang from the ceiling. There’s not a dull color in sight. The shop brims with color and shine, offering a dizzying assortment of trendy and hipster beach wear. Find the shop open every day from 10 a.m. to 5 p.m. Contact the small team at (941) 567-4000. Irene’s is all about fun, friendly, and radiant resort wear. Find tops and bathing suits complementing your figure on your latest vacation getaway. This family-operated resort boutique has been owned by the family since 1957. 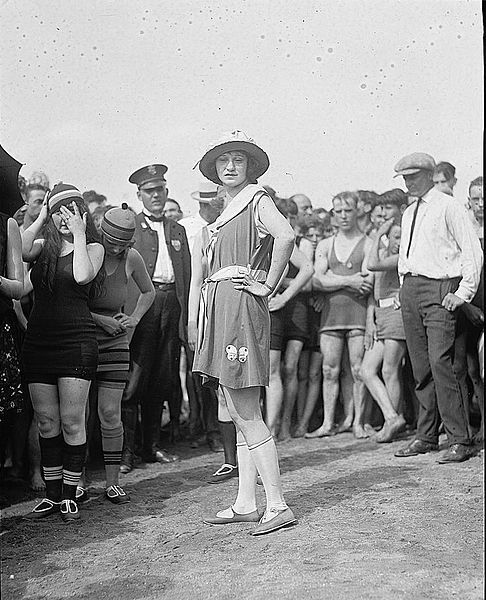 It is known for a wide spectrum of different bathing suits and other apparel, including rose patterns, pastels, and brand-name items. The shop has a range of affordable Brighton jewelry, as well. Visit Irene’s for a diverse and adventurous shopping experience. Irene’s is open from 9 a.m. to 5 p.m. The front desk can be reached at (941) 778-1161. Island Bazaar does not promise to be anything it’s not. 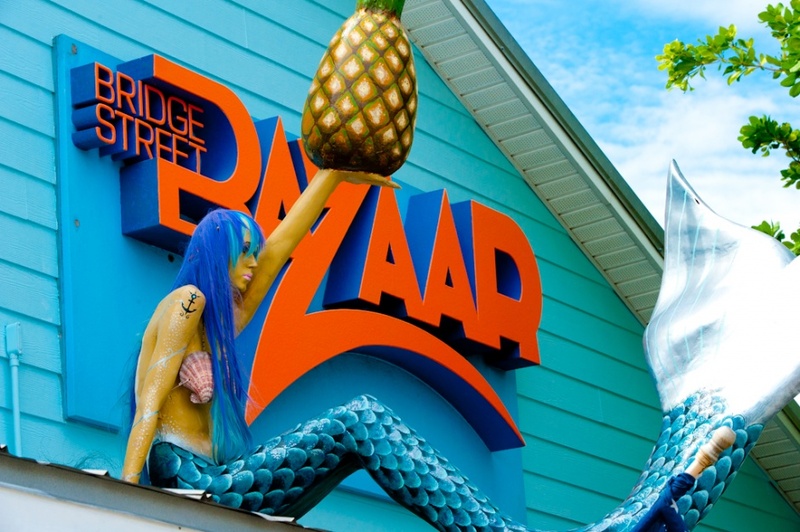 For a big store with affordable bathing suits, touristy treats to take home, and toys for enjoying activities on the water, Island Bazaar is the place to be. You’ll find any kind of bathing suit for an affordable price, skipping the specialty boutiques or water sports-specific shops. It’s a sprawling beach stop, with comedic towels hanging on the walls, sunglasses and surf boards, and hats fitting any size. Find it all from 10 a.m. to 6 p.m. (12 p.m. to 5 p.m on Sundays). 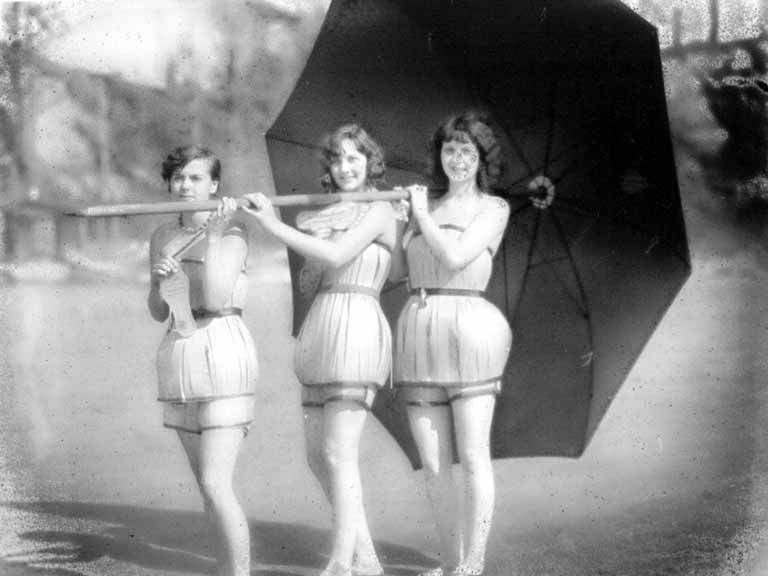 Vintage bathing suit styles have been making a comeback. 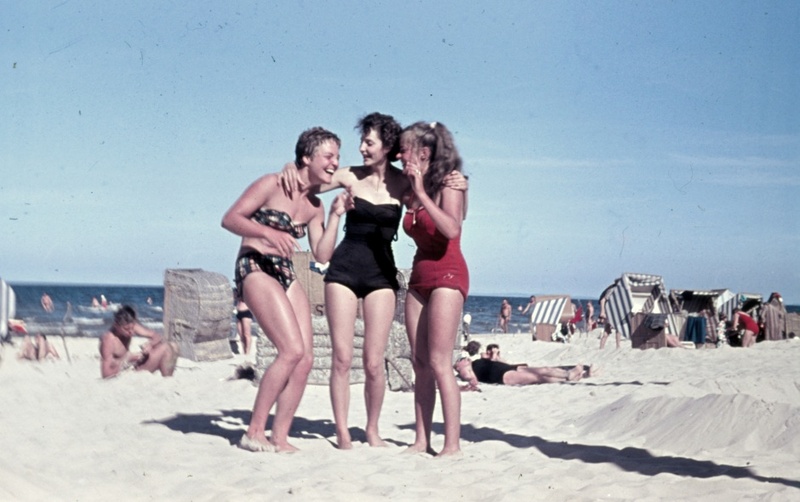 What do you think of the prior generations’ style options for ‘back-in-the-day’ beach fashion?